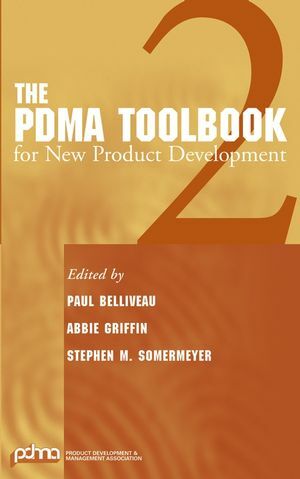 This book covers all aspects of product development, from the creation of the concept through development and design to the final production, marketing, and service. 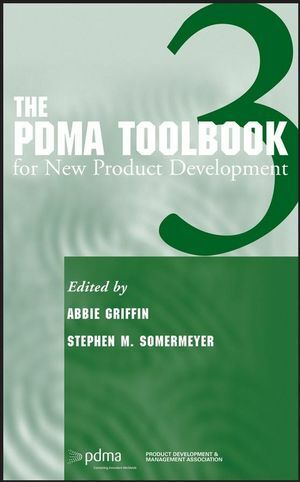 The contributors are members of the Product Development and Management Association (PDMA) and come from such firms as 3M, KPMG Peat Marwick, AT&T, Ingersoll-Rand, and Oscar Mayer. The perfect follow-up to the successful handbook by the same organization. PAUL BELLIVEAU is Principal at Paul Belliveau Associates in Westfield, New Jersey. ABBIE GRIFFIN is Professor of Business Administration at the University of Illinois at Urbana-Champaign. STEPHEN M. SOMERMEYER is a Relationship Manager at YourEncore in Indianapolis, Indiana. 1. Achieving Growth Through an Innovative Culture (E. Seamon). 2. Bridging Radical and Other Major Innovations Successfully to Market: Bridging the Transition from R&D to Operations (G. O'Connor, et al.). 3. Turning Technical Advantage into Product Advantage (S. Markham & A. Kingon). 4. Enhancing Organizational Knowledge Creation for Breakthrough Innovation: Tools and Techniques (P. Koen, et al.). 5. Building Creative Virtual New Product Development Teams (R. Leenders, et al.). 6. Build Stronger Relationships to Improve Codevelopment Performance (M. Deck). PART 2: TOOLS FOR IMPROVING THE FUZZY FRONT END. 7. The Voice of the Customer (G. Katz). 8. Creating the Customer Connection: Anthropological/Ethnographic Needs Discovery (B. Perry, et al.). 9. Shifting Your Customers into "Wish Mode": Tools for Generating New Product Ideas and Breakthroughs (J. Magidson). 10. The Birth of Novelty: Ensuring New Ideas Get a Fighting Chance (K. Dorval & K. Lauer). PART 3: TOOLS FOR MANAGING THE NPD PROCESS. 11. Establishing Quantitative Economic Value for Product and Service Features: A Method for Customer Case Studies (K. Otto, et al.). 12. Integrating a Requirements Process into New Product Development (C. Brodie). 13. Toolkits for User Innovation (E. von Hippel). 14. IT-Enabling the Product Development Process (H. Dittmer & P. Gordon). PART 4: TOOLS FOR MANAGING THE NPD PORTFOLIO AND PIPELINE. 15. Product and Technology Mapping Tools for Planning and Portfolio Decision Making (R. Albright & B. Nelson). 16. Decision Support Tools for Effective Technology Commercialization (K. Schwartz, et al.). 17. Spiral-Up Implementation of NPD Portfolio and Pipeline Management (P. O'Connor).